Ernests Gulbis (Latvian pronunciation: [ˈærnests ˈɡulbis], born August 30, 1988, and nicknamed "The Gull" or "Ernie") is a Latvian professional tennis player. In 2008, Gulbis won his first ATP Tour doubles title at the U.S. Men's Clay Court Championships, teaming with Rainer Schüttler, and in 2010 won his first ATP Tour singles title in the Delray Beach, defeating Ivo Karlović in the final. In total, Gulbis has 6 ATP titles to his name. His best performance at a Grand Slam is reaching the semifinals of the 2014 French Open. He had previously reached the quarterfinals of the 2008 French Open. 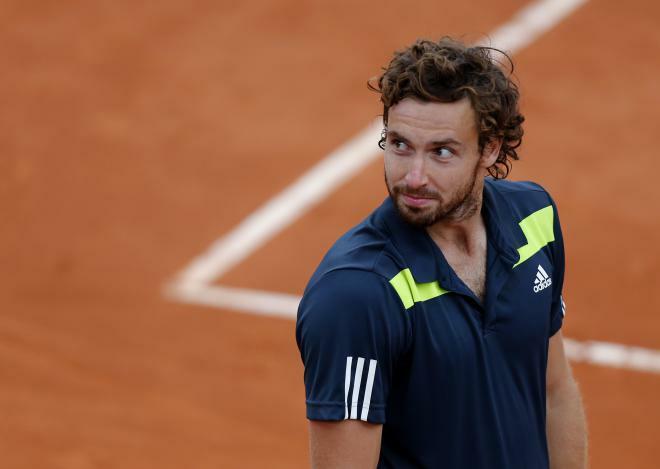 Gulbis' career-high singles ranking is World No. 10, making him the only Latvian tennis player ever to be ranked inside the top 10 in ATP Singles Ranking. He achieved this in June 2014.Gulbis' professional training in tennis began at the age of 12, when he was enrolled at the Niki Pilić Tennis Academy in Croatia. Beginning after Wimbledon 2011, Gulbis is coached by Austrian Gunther Bresnik. Previously, he was coached by Guillermo Cañas, and before that by Hernán Gumy (who before that was Marat Safin's coach), but their partnership ended due to Gumy's schedule; during that time, Darren Cahill served as Gulbis' consultant for several tournaments. Before Gumy, Ernests was coached by Karl Heinz Wetter and subsequently Nikola Pilić, the former professional Croatian tennis player and Croatian and German Davis Cup captain.